Best dimensions for a Baseball Batting Cage? Baseball batting cages are typically a minimum of 70 ft long x 14 ft wide x 12 ft high. This allows proper usage by right-handed or left-handed batters, without moving the plate. It also allows for safe usage without risking damage to the netting from back-swing contact. Selecting the right size for your player’s usage is dictated by the distance between mound to plate, for the age levels using the cage. Mound to plate distances can range from 38, 44, 48, 54 to 60 ft 6 inches for the pros. See our field regulation guide for more info. The optimal length for a baseball batting cage is 70 feet. This allows room on the pitcher’s end for storage of equipment, such as machines, portable mound, ball carts, etc. while allowing plenty of room for regulation distance between pitcher to batter. See the official distances here. The standard width is 12 or 14 ft wide. The standard is 14 ft wide, and much more comfortable for players of all sizes. The standard height is 12 ft high. You will need to allow approximately 8-12″ of netting to sag on the ground to properly contain balls, so the result is 11 ft playable cage height. Keep in mind the taller the cage, the better. See comments below for more info on the benefits of a larger cage. The minimum height depends on the players using the tunnel (wing-span), but batting cages as short as 8 feet can work in most situations. Just be advised shorter cages will greatly reduce ball flight tracking, and will also reduce the life-span of the netting due to the proximity between bat & netting. If I don’t have the space, is using a shorter batting cage worthwhile? The only real benefits of using a shorter cage (regardless of your player’s regulation mound to plate distance), is to save money or space. If space is not an issue and you aren’t down to your last $100, we highly recommend using a minimum of a 70 ft long batting cage net. In our 12+ years of working in the batting cage business, we have never had someone call back with regrets of ordering too BIG of a batting tunnel but have heard plenty of customers tell us they wish they would have ordered a bigger tunnel. 3) The wider & taller the tunnel, the better. Why? Because this allows you to track the ball flight. This gives you instant feedback on where your players are hitting the ball. When confined to a small space, the ball will immediately be knocked down by the netting, giving your players no clue on whether they need to work on hitting inside-out pitches, or pushing the ball to the opposite field. Visit our batting cage frames page. Find Standard batting cage nets. Find Custom batting cage nets. This entry was posted in Batting Cage Nets and tagged baseball batting cage net. Bookmark the permalink. Follow any comments here with the RSS feed for this post. Post a comment or leave a trackback: Trackback URL. I want to install a indoor net in our auxiliary gym/wrestling room. I have lots of room for legth (80 +feet) and width (15 feet). My issue is the height. We have a drop ceiling that is 11 feet from floor to the drop ceiling. Do you think we can do a drop ceiling? I have somewhat limited space but, in time, the length will increase from 38′ to 50’+ as other backyard elements are removed. Height is unlimited. My problem is width. The area narrows toward one end of where I’d like the cage to go (probably 1/2 of the current length) and I could probably only get 9′ wide in that narrower area. The other half of the space has much more leeway but I assume the cage needs to be a rectangle. Yes, it is possible to have a net shaped like you described. It doesn’t have to be a rectangle. The more difficult part would be finding the corrrect frame to support the net. If you like, you can send us an overhead sketch of the shape you wanted (mostly so we can see the dimension of the wider end). And to make sure the 9′ end will run parallel to the wide end (so it creates a trapezoid). You just want to make sure you have at least 6″ to 1′ of space between the net and any obstructions. Our email address is info@practicesports.com. In regard the being able to increase the length of the net, we can initially build an open ended net so one of the ends won’t have netting attached to the tunnel. The opening would then be replaced by a simple barrier net (for example, if your wide end is 12’W and the height is 12’H then the open end would be 12’x12′ and we could send a separate 13’x13′ panel to place over that open end. Then in the future you can purchase another open ended net connected to the existing open end to extend the entire tunnel length to 50’+. I am living in a small town and have recently purchased a old building in the community that was once a post office. the indoor shape is 45 foot x 18 foot x 11 foot on one half and 35x18x11 on the other side. The town is a very small town (less that 800 people) with several small towns around it. There is nothing to do in this town nor the surrounding areas so with the purchase of this property, I am going to make a couple of indoor batting cages. Now, I have run into a snag… Standard size is 55 feet and I was only taking into account of college being 43 pitching distance. Will a smaller net still give me the maxium distance to teach pitchers, catchers and to use a pitching machine to batters? We can build any size net you need. With the mound distance of 43′, ideally you’d want to have at least a few extra feet to have live pitching with a catcher. There isn’t a recommended space. It really depends on how much space your players would be comfortable with. Please let me know if you have any other questions. We only have a space that can accommodate a 63′ cage. 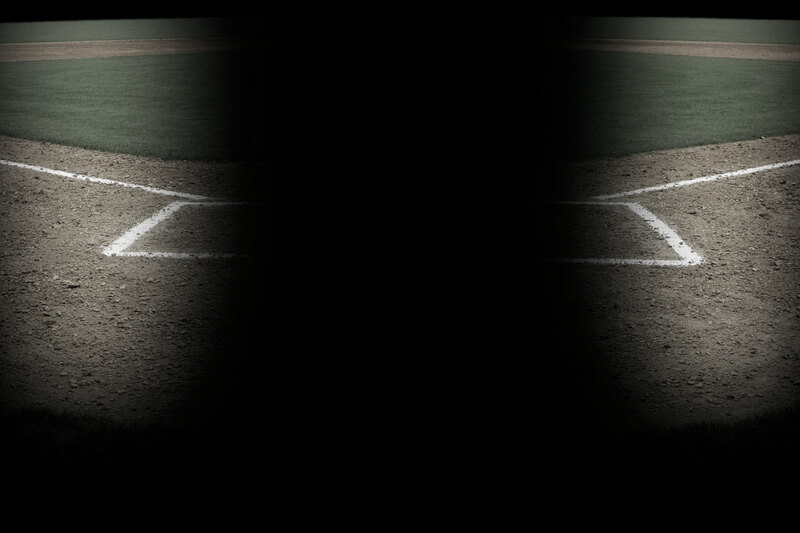 We understand we can do all kinds of BP, 55′ pitching and softball pitching. But what about 60′ 6′ pitching? Obviously we won’t have the full 70′ for storing equipment. But is this enough length for real pitching practice? Using 63′ will be a tight fit. Ideally you want a few more feet to have a room for a pitcher with a catcher but if you’re only using a pitcher throwing into a backstop, that should be enough space. Please let us know if you have any other questions. We have a park shelter that is 48 x 24 x 8 that we would like to convert to batting cages. Would we be able to put two cages in this area? Can you please send us pictures of the shelter so we can advise for sure? I have a 10,000 square foot building. Looking to do indoor cages. Problem is the ceiling is only 10 feet. Is it possible to do cages in this building? Thanks for contacting us about your facility. Yes, you can install cages in with that ceiling height. However it may be difficult to throw live pitching from a standard mound distance (60’6″) depending on the arm strength of the pitcher. You’ll want at least 6″ of space between the top of the net and the bottom of the ceiling. Also you’ll keep 8″ to 1′ of net sag on the ground to the net height should be around 10’6″ to 10’2″H. Please let me know the lane sizes you needed and the quantity and the size of the building and I can put together a quote. What is the minimum distance between 2 separate cages? What is the minimum distance between cage and wall? This assums using netting as the cage material. The distance on these measurements will depend on a few factors. The type of netting material used and how hard the players are hitting and throwing. The minimum distance and the distance to the walls is 6″ to 1′ but ideally it would be best to use at least 1′ of space with older kids and adults. The boys want a batting cage in the basement but we only have a space 27 ft long by 10 ft tall and 16 feet wide. Can we still use a pitching machine set on a lower speed like at 30 mph? Thanks for contacting us. I don’t see an issue with having a net clearance around 10′ to 9′ high and being able to use a pitching machine. You’ll have some arc in the throwing path but I don’t see it hitting the ceiling. The exception is if you were using this for slowpitch softball, but for baseball or fastpitch softball I don’t see any problems. Hope this helps. I have a space that is 49ft wide, 63ft long, and 9.5ft in height. I am wondering if I have enough space in height and length to install a cages that support both pitching (artificial mound for all distances) and hitting without too much net sag from floor to top of net. I’m working with youth athletes who for pitching would of course be at closer distances as well as high school athletes for 6ft 6 inches. In addition, for hitting would the netting be too low for athletes 9-15u. Thanks for your time and input! Thanks for your inquiry about a custom batting cage. Great questions! Typically a 70 ft long batting cage is required to allow for comfortable pitching from 60’6″ because the batter’s box & pitching mound takes up 6-8 ft. Your height should work okay, although 11-12 ft is more common. It just depends on the height of your players – if you have a 7 foot kid in there he might have issues with his back-swing, but otherwise 9 ft + should be okay for most players. I just recommend going with #60 netting for the ceiling because it’s lower and will take more abuse. Would you like an official quotation from us?